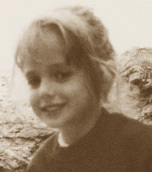 December 26th, 1996 marks the sixth anniversary of death of six-year old JonBenet Ramsey who was found murdered in her home in Boulder, Colorado. 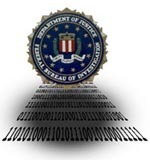 Forums for Justice forensically logs, investigates, and reports all intrusions to the FBI's Washington Field Office Infrastructure Protection and Computer Intrusion Squad (WFO IPCIS) and the U.S. Department of Justice Computer Crime and Intellectual Property Section. Forums for Justice adheres to a zero-tolerance policy regarding intrusions or any form of interference with operations, including (but not limited to) attempts to disrupt service in any manner, ping/flood/refresh attacks, identity theft, and malicious intrusions to this private system. This site time-stamps and logs any and all connections via IP address. Penalties for violation of Federal laws pursuant to such criminal activity can amount to up to five years in Federal prison and/or up to $250,000 in punitive damages. "Cybercrime and [the] solutions to it are about people acting ethically."